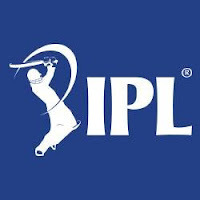 In a busy day at Ritz Carlton in Bengaluru, 110 players went under the hammer in the big auction for the second decade of the Indian Premier League. The eight teams combinedly spent 321.1 crores to buy 78 players. As with all previous auctions, this one too threw up plenty of surprises. The two poster boys of the first decade of IPL - Chris Gayle and Lasith Malinga - went unsold while many uncapped players became 'crorepatis'. 321.1 crore The total amount of money spent on the first day of the auction to buy 78 players. Kolkata Knight Riders shelled out the most money - 51.40 crores - while the fewest was spent by Chennai Super Kings - 30 crores. 16 Right To Match (RTM) card used on the entire day's auction. Kings XI Punjab was at the receiving end of five of these, losing out Shikhar Dhawan, Ajinkya Rahane, Faf du Plessis, Dwayne Bravo and Rashid Khan to their original franchises. On the other hand, both Kolkata Knight Riders and Sun Risers Hyderabad used up all the three RTM cards available. The biggest bid matched by RTM was Rashid Khan's nine crore by Hyderabad. 14 Players brought by Sun Risers Hyderabad - the most by any team. They are the only side to complete the minimum set of required players (16) after the end of the first day. Mumbai Indians brought the fewest players - six. 51.40 crores Amount spent by Kolkata on the first day of auction - the most by any team - to buy ten players. 12.50 crores Amount for which Ben Stokes was bought by Rajasthan Royals - the most by any player on the first day. This is the second successive auction where he is topping the charts after being bought for 14 crores in 2017 by the now-defunct Rising Pune Supergiants. Among Indian players, Manish Pandey Pandey and Lokesh Rahul attracted highest bids, each valued at 11 crores. 8.80 crores The highest bid for an uncapped player in an IPL auction - Mumbai Indians' matched the bid by Royal Challengers Bangalore for Krunal Pandya. The previous highest for an uncapped player was 8.5 crores earned by Pawan Negi from Delhi Daredevils in 2016. Joffra Archer's 7.20 crore is the highest bid for an uncapped overseas player in IPL. 8 uncapped all-rounders earned in excess of three crores - Krunal Pandya (8.80), Archer (7.20), Darcy Short (4.00), Deepak Hooda (3.60), Nitish Rana (3.40), Vijay Shankar (3.20), Kamalesh Nagarkoti (3.20) and Rahul Tewatia (3.00). The only player unsold from this list was Shivam Dubey, while Harshal Patel was sold for 20 lakhs. 1 buy from the uncapped wicketkeepers list - Ishan Kishan for 6.20 crores - the only one who attracted a bid out of the set of ten players. This was the section where the teams were least interested. 5 crores The average price for an Indian wrist spinner - all five of them (Yuzvendra Chahal, Karn Sharma, Amit Mishra, Piyush Chawla, Kuldeep Yadav) were sold in excess of four crores. While Rashid Khan earned the highest among wrist spinners (9 cr from Sun Risers), Imran Tahir was bought at the base price by Chennai (1 cr). 22 times Krunal Pandya's bid saw the biggest exponential rise. Slotted with a base price of 40 lakhs, he was bought by Royal Challengers Bangalore for 8.80 crores, before Mumbai matching the bid using their RTM. D'arcy Short was the only other player to go for 20 times his price - bought by Rajasthan for four crores from a base price of 20 lakhs. 7 Aaron Finch was will represent Kings XI Punjab in 2018 season - the seventh IPL franchise he has been a part of now. He played for Rajasthan in 2010, Delhi in 2011-12, Pune Warriors India in 2013, Sun Risers in 2014, Mumbai in 2015 and Gujarat Lions in 2016-17. 1 This will be first time Robin Uthappa and Manish Pandey will turn up for two separate sides. Previously they played together for Mumbai in 2008, Bangalore in 2009-10, Pune Warriors in 2011-13 and Knight Riders in 2014-17.